Next month, millions of Americans will watch as the space shuttle blasts off for the last time. But the nation's space program will continue, and much of the action will be on Virginia's Wallops Island. If you've seen a rocket launch on TV, chances are it blasted off from the Kennedy Space Center in Florida. But the oldest and busiest launch site in America is actually in Virginia, near Chincoteague on the Eastern Shore. Three rockets launched from the commonwealth this month, and five more will go up in July. From the Wallops Island facility's rooftop observation deck, communications director Keith Koehler surveys a field of sophisticated dishes and antennas. "We have three runways, so from up here you'll be able to see different military aircraft use it for practice landings and takeoffs, the NASA aircraft and NOAA, which are the weather guys, they're also located here in Wallops," he said. NASA decided to build on Wallops Island in 1945. The location was ideal: on the water, near Langley Air Force Base, close to the Chincoteague Naval Air Station. 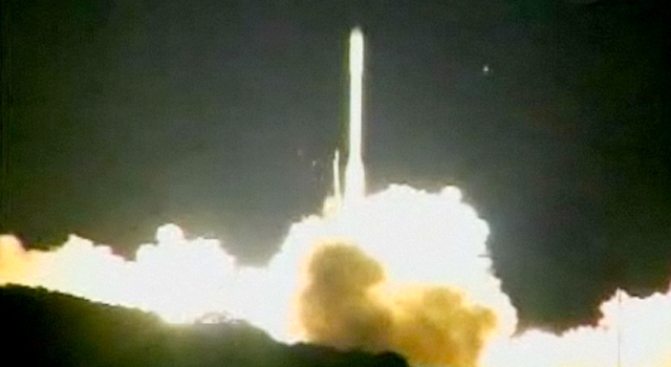 "We've launched over 16,000 rockets since then," Koehler said. "Today we launch everything from suborbital rockets to targets for the military to a rocket to launch a satellite into orbit." "That was the launch of summer vacation," he said. "I like to call it the launch because I like rockets!" Big kids often outnumber the little ones on launch days. Andrew Westerman came from Salish Kootenai Tribal College in northwestern Montana. "Oh it was amazing. It was definitely on the top 10 list," said Westerman. "There was vibrations, and we got to watch the other piece fall into the ocean, and then you could hear it. It was pretty cool." Allison Hott, a recent high school grad from West Virginia, was also on hand to watch a rocket carrying 17 experiments developed by university students and instructors across the nation. "You don't get to see a rocket launch every day," she said. In the early '90s, there was talk of closing the facility, but managers were determined to keep the operation alive. They built partnerships with private sector space companies and universities and persuaded the state of Virginia to invest in the MidAtlantic Regional Spaceport, which now offers launch facilities at Wallops for commercial, government, scientific and academic users from the U.S. and abroad. This week, Wallops will launch a Department of Defense spy satellite aboard a 70-foot Air Force rocket. It’s a relatively small, modular device, which is a model for what the military says it needs: not the big, multi-purpose satellites that take years to assemble and test, but small units that could be ready in a matter of weeks. "It's kind of what they call the plug-and-play system," said Koehler. "When you say, 'We need a satellite that can do this,' you go to the shelf, get those instruments, plug them in, get the satellite onto the launch pad, and launch it in, eventually, we'd like to get from several days to a couple of weeks." If the idea takes off, it could mean the space program is here to stay in Virginia.